Three men have been arrested after a number of petrol bomb attacks on flats in the Taghnevan area of Lurgan. It follows two incidents on Tuesday and Wednesday of this week in the Dingwell Park area. 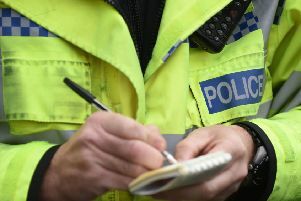 Police said the men, two aged 23 and one aged 22, from the local area, were arrested on suspicion of a number offences including arson endangering life with intent, criminal damage, possessing petrol bomb in suspicious circumstances, possessing articles for use with petrol bombs and possession of a class B controlled drug. All three men have since been released on bail whilst officers conduct further enquiries. The arrests were made on Wednesday 19th and Thursday 20th October.